26 Commercial Real Estate & Properties in Currumbin are listed in 4 categories. We have 13 Industrial Warehouses Sale & Lease , 6 Retail ShopsSale & Lease , 4 OfficesSale & Lease and 3 Hotels and LeisureSale & Lease . Unique Restaurant Opportunity $3620 PCM + Outgoings + G..
Take advantage of this opportunity to secure a prime ground floor retail space suitable for a wide range of food retailers and restaurateurs. This shop comes completely fitted for food retail operations, and is reticulated to the grease trap, in what is a high demand location. FEATURES: 72sqm plus exclusive use weather protected alfresco dining area. Full kitchen fit out including; Cold room, cooking equipment, exhaust canopy, s/s bench work, refrigeration and comes with a long list of inclusions. Air conditioned. Inviting outlook. 1 basement car park. PRICE: FOR SALE: $625,000 + GST if applicable. FOR LEASE: $3200PCM + outgoings + GST. For more information and to arrange an inspection, contact exclusive marketing agents Towers Francis Property. Take advantage of this opportunity to acquire a prime ground floor retail space suitable for the savy restaurateur or investor. This shop comes completely fitted for food retail operations, and is reticulated to the grease trap, in what is a high demand location. FEATURES: 72sqm plus exclusive use weather protected alfresco dining area. Full kitchen fit out including; Cold room, cooking equipment, exhaust canopy, s/s bench work, refrigeration and comes with a long list of inclusions. Air conditioned. Inviting outlook. 1 basement car park. PRICE: FOR SALE: $625,000 + GST if applicable. FOR LEASE: $43,200 p.a + outgoings + GST. For more information and to arrange an inspection, contact exclusive marketing agents Towers Francis Property. This is a rare opportunity to secure a ground floor easy to find retail shop in this tightly held Currumbin hot spot. Notable location features include prime corner position, opposite Currumbin Creek, set amongst vibrant neighbourhood village centre and walking distance to Currumbin Alley Beach & foreshore park. FEATURES: 61sqm Suitable for retail food and general retail. Reticulated to grease trap. Alfresco dining out front. 1 secure basement car park. Ample street parking. Air conditioned. Significant fit out. Prime signage options. PRICE: FOR SALE: $525,000 + GST if applicable. FOR LEASE: $2800PCM + Outgoings + GST. For more information or to arrange inspection, contact exclusive agents Towers Francis Property. 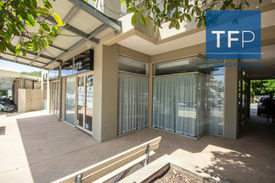 This is a rare opportunity to secure a ground floor easy to find retail shop in this tightly held Currumbin hot spot. Notable location features include prime corner position, opposite Currumbin Creek, set amongst vibrant neighbourhood village centre and walking distance to Currumbin Alley Beach & foreshore park. FEATURES: 61sqm Suitable for retail food and general retail. Reticulated to grease trap. Alfresco dining out front. 1 secure basement car park. Ample street parking. Air conditioned. Significant fit out. Prime signage options. PRICE: FOR SALE: $525,000 + GST if applicable. FOR LEASE: $36,600 p.a + Outgoings + GST. For more information or to arrange inspection, contact exclusive agents Towers Francis Property. Storage Or Boutique Warehouse With Large Balcony/ Break Out Area Only $250 + GST per week! 60m2 of clean open space plus a balcony large roller door entry wide windows to catch a breeze access to renovated, shared facilities plenty of onsite parking easy access at all times Seamless solution at only $250 + GST Per week incl all outgoings & power! High Exposure Office/retail With Disabled Access $35,000 pa + Outgoings (N..
Stop the search you've just found your man cave Concrete tilt panel construction Large mezzanine office area with air conditioning Excellent amenities Kitchen and toilet 3 phase power High clearance electric roller door 126sqm ground floor plus 40sqm mezzanine This excellent unit forms part of a secure gated complex and has the unique advantage of a small rear yard with roller door access. The vendor is urging an immediate sale please contact exclusive marketing agent Adam Young for more details. Approx Disclaimer: Ray White has not independently checked any of the information we merely pass on. We make no comment on and give no warranty as to the accuracy of the information contained in this document which does not constitute all or any part of any offer or contract by the recipient. Prospective purchasers / lessees must rely on their own enquiries and should satisfy themselves as to the truth or accuracy of all information given by their own inspections, searches, inquiries, advices or as is otherwise necessary. No duty of care is assumed by Orchid Avenue Realty trading as Ray White Surfers Paradise Commercial divisions toward the recipient with regard to the use of this information and all information given is given without responsibility. Affordable Factory Workshop $1000 PCM + GST (includin.. This factory workshop is located on 3 Stewart Road, with a tenancy mix of mechanical and repair businesses. FEATURES 94sqm High roller door access. 3 phase available. 3 onsite parking spaces included. Available NOW PRICE $1000 PCM + GST (includes outgoings) To arrange inspection contact Towers Francis Property. Calling All Cafe Owners $35,000 pa + Outgoings (N..
60m2 total floor area first floor office space comprises of: boardroom, two offices, open plan floor area own facilities incl.kitchenette ducted air conditioning road front exposure allocated car park street parking two balconies plenty of natural light and breeze central location (walking distance to cafes' and post office etc.) M1 access close by For LEASE: $400 + GST PW Contact PRO Commercial to book an inspection. Disclaimer PRO Commercial has not personally confirmed the property information we pass on. We give no guarantee as to the accuracy of this information. Prospective purchasers and lessees should rely on their own enquiries and should satisfy themselves as to the truth or accuracy of all information given by their own inspections, searches, advices or as is otherwise necessary. No duty of care is assumed by PRO Commercial toward the purchasers and lessees with regard to the use of this information and all information given is given without responsibility. 75m2 warehouse/studio with open mezzanine Own facilities including shower Internally painted High roller door Flecked epoxy floor Modern complex Central Currumbin location For LEASE: $1,550 + GST PCM Disclaimer PRO Commercial has not personally confirmed the property information we pass on. We give no guarantee as to the accuracy of this information. Prospective purchasers and lessees should rely on their own enquiries and should satisfy themselves as to the truth or accuracy of all information given by their own inspections, searches, advices or as is otherwise necessary. No duty of care is assumed by PRO Commercial toward the purchasers and lessees with regard to the use of this information and all information given is given without responsibility. 60m2 total floor area Air conditioning throughout Own facilities incl. kitchenette Glass sliding doors opening onto a balcony Natural light and breeze Walking distance to the post office and cafes' Quick M1 access both North and South bound For LEASE: $345 + GST PW Disclaimer PRO Commercial has not personally confirmed the property information we pass on. We give no guarantee as to the accuracy of this information. Prospective purchasers and lessees should rely on their own enquiries and should satisfy themselves as to the truth or accuracy of all information given by their own inspections, searches, advices or as is otherwise necessary. No duty of care is assumed by PRO Commercial toward the purchasers and lessees with regard to the use of this information and all information given is given without responsibility. 161m2 factory/warehouse Direct access Own facilities Great parking Central location on busy road Well priced, quality unit For LEASE: $2600 + GST PCM Call today to inspect this Currumbin gem. Disclaimer PRO Commercial has not personally confirmed the property information we pass on. We give no guarantee as to the accuracy of this information. Prospective purchasers and lessees should rely on their own enquiries and should satisfy themselves as to the truth or accuracy of all information given by their own inspections, searches, advices or as is otherwise necessary. No duty of care is assumed by PRO Commercial toward the purchasers and lessees with regard to the use of this information and all information given is given without responsibility. 104m2 ground floor space Plus an extra 40m2 mezzanine Own facilities (new kitchenette) New LED lighting 3 allocated car parks High roller door access Natural light and breeze North facing Convenient complex, close to M1 access (North and South) For LEASE: $1,450 + GST PCM Disclaimer PRO Commercial has not personally confirmed the property information we pass on. We give no guarantee as to the accuracy of this information. Prospective purchasers and lessees should rely on their own enquiries and should satisfy themselves as to the truth or accuracy of all information given by their own inspections, searches, advices or as is otherwise necessary. No duty of care is assumed by PRO Commercial toward the purchasers and lessees with regard to the use of this information and all information given is given without responsibility. 38m2 floor area Contemporary design and layout to suit a multitude of businesses Combination of warehouse/showroom & office space Own facilities inc. bathroom and kitchenette Easy access to the M1 both North and South Allocated onsite car parking For LEASE: $250 + GST PW Disclaimer PRO Commercial has not personally confirmed the property information we pass on. We give no guarantee as to the accuracy of this information. Prospective purchasers and lessees should rely on their own enquiries and should satisfy themselves as to the truth or accuracy of all information given by their own inspections, searches, advices or as is otherwise necessary. No duty of care is assumed by PRO Commercial toward the purchasers and lessees with regard to the use of this information and all information given is given without responsibility. 42m2 warehouse / office / studio Very cool and breezy Modern, renovated complex Gated and secure Allocated car park Great access through roller door For LEASE: $1200 + GST PCM Disclaimer PRO Commercial has not personally confirmed the property information we pass on. We give no guarantee as to the accuracy of this information. Prospective purchasers and lessees should rely on their own enquiries and should satisfy themselves as to the truth or accuracy of all information given by their own inspections, searches, advices or as is otherwise necessary. No duty of care is assumed by PRO Commercial toward the purchasers and lessees with regard to the use of this information and all information given is given without responsibility. 65m2 ground floor showroom / warehouse 65m2 first floor office space Air conditioned High internal clearance Commercial shopfront / glazing Located near Aust. Post, cafés, fast food, tavern, etc. Modern, appealing building Quick M1 access For lease $2,400 + GST PCM Rare opportunity in this prime position. Call now to inspect! 0402 129 455 Disclaimer PRO Commercial has not personally confirmed the property information we pass on. We give no guarantee as to the accuracy of this information. Prospective purchasers and lessees should rely on their own enquiries and should satisfy themselves as to the truth or accuracy of all information given by their own inspections, searches, advices or as is otherwise necessary. No duty of care is assumed by PRO Commercial toward the purchasers and lessees with regard to the use of this information and all information given is given without responsibility. Freshly Renovated, Wide, Bright Factory/warehouse For LEASE: $1850 + GST P..
120m2 ground floor area Own facilities inc. bathroom and kitchenette 3 phase power Entire building freshly renovated inc. interior and exterior paint and new insulated roof Bright, open factory floor Great security Positioned close to M1 access North and South For LEASE: $1850 + GST PCM Positioned in the popular Currumbin Industrial and Commercial hub with all services available in the surrounding area. Minutes to Gold Coast International Airport and pristine beaches and the tenant lifestyle. Disclaimer PRO Commercial has not personally confirmed the property information we pass on. We give no guarantee as to the accuracy of this information. Prospective purchasers and lessees should rely on their own enquiries and should satisfy themselves as to the truth or accuracy of all information given by their own inspections, searches, advices or as is otherwise necessary. No duty of care is assumed by PRO Commercial toward the purchasers and lessees with regard to the use of this information and all information given is given without responsibility. 160m2 factory plus mezzanine (approx. 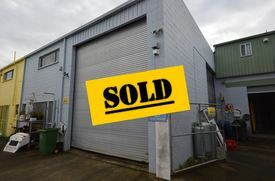 65m2) 55m2 lock up or mini factory w/ 55m2 GCCC approved caretaker’s res above Plus 85m2 concrete hardstand/ yard on title Total 355m2 (mezzanine in main factory additional to this) Full alarm system & security lights 5kw solar system Both caretaker's and office are air conditioned. Convenient Currumbin location with fast M1 access FOR SALE: $449,000 + GST if applicable Call today to inspect. Disclaimer PRO Commercial has not personally confirmed the property information we pass on. We give no guarantee as to the accuracy of this information. Prospective purchasers and lessees should rely on their own enquiries and should satisfy themselves as to the truth or accuracy of all information given by their own inspections, searches, advices or as is otherwise necessary. No duty of care is assumed by PRO Commercial toward the purchasers and lessees with regard to the use of this information and all information given is given without responsibility. 60m2 warehouse plus 15m2 mezzanine Own power and facilities including shower and kitchenette Wide, high roller door access Fully internally painted Brand new epoxy floor Good natural light Great starter’s package for a tradesman For LEASE: $1250 + GST PCM Call to inspect!! Disclaimer PRO Commercial has not personally confirmed the property information we pass on. We give no guarantee as to the accuracy of this information. Prospective purchasers and lessees should rely on their own enquiries and should satisfy themselves as to the truth or accuracy of all information given by their own inspections, searches, advices or as is otherwise necessary. No duty of care is assumed by PRO Commercial toward the purchasers and lessees with regard to the use of this information and all information given is given without responsibility. 98m2 floor area Three phase power Previously owned by coffee roaster fitted with LPG gas lines and regulator, stainless food bench with filter, and extraction flue Full bathroom incl. shower 2 roller doors (front, rear) Security grilles Glass fronted offices Fully internally painted floors Neat office with glass entry Please call us to discuss options. FOR LEASE: $1450 + GST PCM Call today to inspect! Disclaimer PRO Commercial has not personally confirmed the property information we pass on. We give no guarantee as to the accuracy of this information. Prospective purchasers and lessees should rely on their own enquiries and should satisfy themselves as to the truth or accuracy of all information given by their own inspections, searches, advices or as is otherwise necessary. No duty of care is assumed by PRO Commercial toward the purchasers and lessees with regard to the use of this information and all information given is given without responsibility. Small, Professional Office Space In Popular Complex $90 + GST PW incl. ALL ou.. Entry level office! Get out of the home office and into a professional space with a business address! Approx. 10m2 light & bright office space Own facilities and kitchenette Epoxy floor and fully internally painted Letterbox included Central position on Currumbin Creek Road Flexible terms For LEASE: $90 + GST PW incl. ALL outgoings (water & power) Disclaimer PRO Commercial has not personally confirmed the property information we pass on. We give no guarantee as to the accuracy of this information. Prospective purchasers and lessees should rely on their own enquiries and should satisfy themselves as to the truth or accuracy of all information given by their own inspections, searches, advices or as is otherwise necessary. No duty of care is assumed by PRO Commercial toward the purchasers and lessees with regard to the use of this information and all information given is given without responsibility.